A catering assistant who slipped on some gravy in a branch of Dunnes Stores has been awarded more than €25,000 in damages. The 54-year-old woman told the Circuit Civil Court she had been cleaning the deli counter at the Foxrock store when she fell. Vera Biskupova, who lives in Killarney, Co Kerry, said she fell heavily on her back and banged her head on he floor. She told her barrister, Paul Gallagher, that when she got up, her hair, shoulder and back were wet. She said the liquid smelled like gravy. The court heard that Ms Biskupova finished her shift but had not been able to get out of bed the next day. She had headaches, pain in her head, neck, shoulders and lower back. Ms Biskupova, who at the time of the incident lived in Strollers Place, Ballyedmonduff Road, Stepaside, went to her GP, who prescribed anti-inflammatory medication. She was off work for several weeks and attended physiotherapy sessions. Mr Gallagher said Ms Biskupova has had intermittent back pain since the incident in January 2015. She sued ex-employer Dunnes Stores for negligence, breach of contract and breach of duty. Ms Biskupova said the gravy had leaked from a bin bag, which she alleged was unsuitable or unfit for purpose and was likely to allow liquids to leak onto the floor. She also claimed that Dunnes Stores had failed to have any appropriate system of cleaning and inspection in place to ensure that employees were not put at risk of slipping. 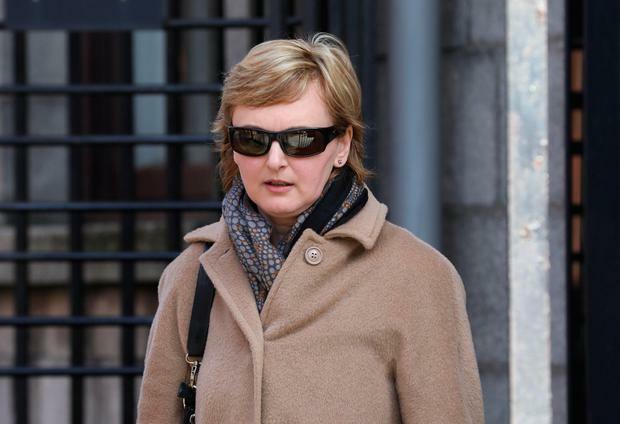 Dunnes had denied all her allegations in a full defence. It claimed she had been trained "extensively" in relation to health and safety and had not been vigilant that day. The company alleged Ms Biskupova had not brought the incident to its attention. It also claimed she was guilty of contributory negligence. Circuit Court President Mr Justice Raymond Groarke said he was satisfied the system of training had been one of a high standard but believed Ms Biskupova's account of what had happened was correct. "It is quite interesting that the accident report documentation filled in after Ms Biskupova's incident has no question as to how or why it happened," he said. "That is rather curious. "I would expect this question to be in the documentation to make sure that steps are taken so that this type of accident does not occur again." Judge Groarke said he could not be blind to the fact that a witness who was in court had not been called by Dunnes. He said the person who spilled the gravy must have been aware of it and decided not to follow the company's cleaning protocol. Awarding Biskupova €25,234 damages, the judge said the place of work had been unsafe. He said she could not be expected to constantly look at the floor and he therefore could not find any contributory negligence against her.